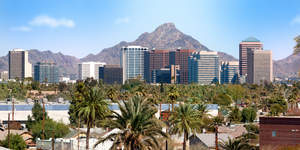 SCOTTSDALE, AZ--(Marketwired - Jan 12, 2015) - Fans from across the country will flock to Arizona to gear up for game day on Feb. 1. Experience the magic of the big game at an elite Marriott hotel in Scottsdale, AZ, in the midst of the action. Scottsdale has a playbook full of ways to keep guests entertained. With endless options for shopping, dining and nightlife, there's something here for fans of both teams. For groups looking for excitement and adventure, spend the day navigating rocky trails in a Tomcar or ride the rapids of the Upper Salt River. Those looking for a more relaxed endeavor can browse more than 100 nearby art galleries or hit the green at one of Scottsdale's world-class golf destinations. After exploring the events leading up to kickoff, retreat to the scenic sanctuary at JW Marriott Camelback Inn Resort & Spa. With luxurious amenities and exceptional service, there's no better way to energize before the big game. Enjoy being less than 15 minutes away from pre-game events like Gilligan's Block Party in downtown Scottsdale and the 1st & 10 Kickoff Concert and Party at Scottsdale Mall Amphitheatre. After a day of activities, guests can refresh with a massage at the full-service spa or indulge in delicious cuisine at one of six on-site restaurants. Located just 45 minutes from University of Phoenix Stadium, JW Marriott Camelback Inn Resort & Spa is a quiet retreat amidst big-game excitement. Stay right near the action of the big game when you book one of the premier Marriott hotels in Scottsdale, AZ.